Amy Adams posted these signs around River Oaks hoping to entice potential customers and maybe get a few laughs in the process. Amy Adams says the story is real and business has been booming since she started her sale Saturday morning. Adams says she has about 16 signs scattered around the Grand Strand area promoting the sales. 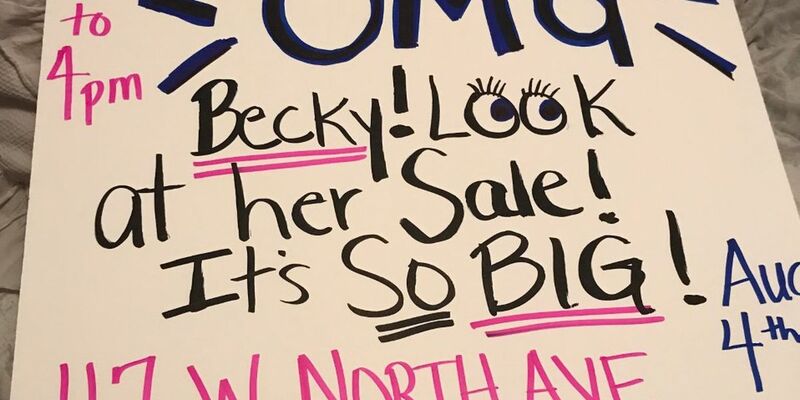 She hopes when prospective customers see the sign, even if they don’t plan on buying anything, they enjoy the humor.